The goal of this study was to identify and understand the mental models developed by 67 high school biology students as they learn about the human body as a complex system. Using concept maps, it sought to find an external way of representing how students organize their ideas about the human body system in their minds. We conducted a qualitative analysis of four concept maps created by each student throughout the 3-year learning process, which allowed us to identify that student’s systems thinking skills and the development of those skills over time. The improvement trajectories of the students were defined according to three central characteristics of complex systems: (a) hierarchy, (b) homeostasis and (c) dynamism. A comparative analysis of all of our students’ individual trajectories together revealed four typical learning patterns, each of which reflects a different form of development for systems thinking: “from the structure to the process level”, “from macro to micro level”, “from the cellular level to the organism level,” and “development in complexity of homeostasis mechanisms”. 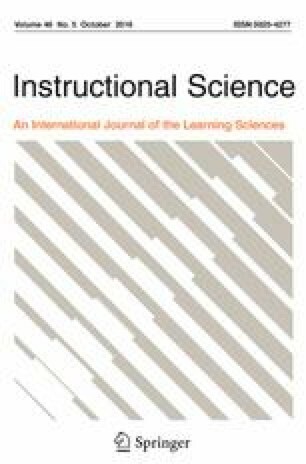 Despite their differences, each of these models developed over time from simpler structures, which evolved as they connected with more complex system aspects, and each indicates advancement in the student’s systems thinking. This research was supported by the ISRAELI SCIENCE FOUNDATION Research Grant Application no. 718/11. Below is a step-by-step description of how concept maps can be read as indicators of system thinking, based on the correlation of their contents to the STH model. The description is divided according to the model’s three basic levels, and further subdivided into the model’s eight individual characteristics. Selecting a suitable characteristic into which all the concepts written by the student may be pooled. In this study we chose hierarchy in nature. Further dividing each of these into the sub-categories of Microscopic and Macroscopic levels. Sorting the concepts written by the students into each of the categories now present under the master-characteristic hierarchy in nature. Counting all of the concepts provided by the student to arrive at an overall number of concepts. Counting the number of concepts in each category. Calculating distributions for the estimation of the student’s relative ability to represent system components vs. system processes. Counting all the connections made by the student. A connection is a word describing a connection between two concepts. For instance: The veins transfer blood from the heart to the body. The italicizes words represent the connections drawn between the (underlined) concepts. Analyzing the contents of the connections to derive statements. “Veins transfer blood from the heart to the body”. Sorting the resulting statements and removing those that are irrelevant to the study topic. Sorting the statements into process/non-process related. A process-related statement refers to a string of actions or changes that are assigned a certain order within a gradual development. On the other hand, a merely descriptive statement would refer statically to an object’s state or appearance. Calculating distributions to compare process/non-process oriented statements. Analyze the connections and translate them into statements. Identify statements that address relationships between components (i.e. statements that address the effect of element ‘x’ upon element “y”). Analyze connections and translate them into statements. Identify statements that express dynamism (i.e. statements in which the student refers to the transmission of a certain substance within the human body system). Characteristic #4: Organizing components and processes within a framework of relationships. Students’ ability to connect a single component to a large number of other components can be assessed by examining the number of junctions on their concept map. A “junction” is a concept that has connections to at least three other concepts on the map. The number of junctions students mark between their concepts provides insight into the level of knowledge integration they have undergone. For this reason, the junctions in each map should be counted. Characteristic #6: Generalization and identification of patterns. Concept maps allow us to identify students’ understanding of patterns in human body systems by analyzing the contents of their connections. To do this, the statements derived from these connections must be sorted, and those statements that relate to patterns identified. The three patterns to be looked for are: Homeostasis, Hierarchy and Dynamism. Homeostasis includes statements that generally describe the body’s internal stability (“the concentration of urea and water in the body is regulated by homeostasis”). Hierarchy includes statements referring to scale in nature, while emphasizing one scale in relation to another (“the circulatory system includes capillaries”). Dynamism includes statements that address dynamic processes as system characteristics that occur in the human body (“oxygen enters the body through the lungs”). Characteristic #7: Identifying hidden dimensions. To assess this characteristic, the statements derived from the map must be sorted, and those that refer to internal patterns and connections that are invisible on the body’s surface must be identified. Characteristic #8: Temporal thinking. This includes both retrospective thinking (backwards) and projection (forwards). To identify a student’s understanding that interactions taking place in the present can bring about and influence future events, those statements from the map in which there are temporal references must be identified.